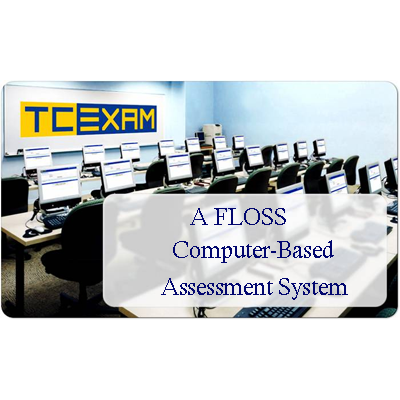 TCExam is an Open Source Computer-Based Assessment system. This app allows teachers to administer digital assessments (computer-based tests) that students can access from a wide variety of devices. It's Web-based and provides scheduling and reporting tools to assist the instructor.